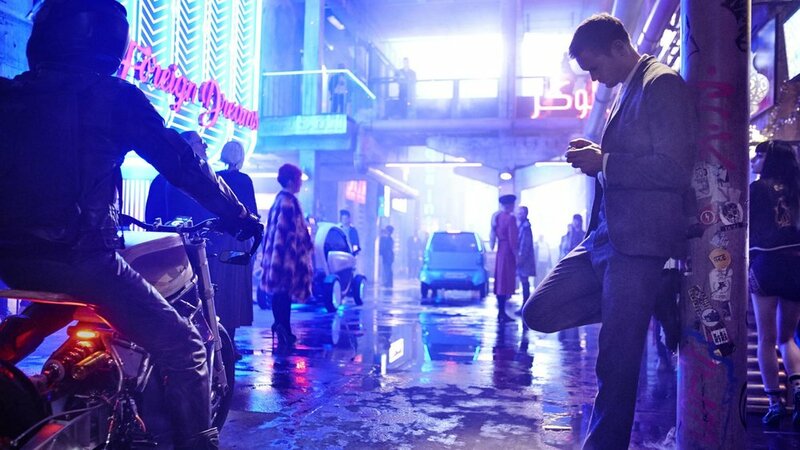 For those of you who are excited about director Duncan Jones' upcoming film Mute, you'll be happy to learn that it now has an official release date! Jones made the announcement on Twitter saying the long-awaited sci-fi film noir film will be released on February 23rd on Netflix. He also offered a little piece of footage from the film, which shows us Alexander Skarsgard. I'm sure we'll get a full trailer soon! Set in the near-future, Leo (Alexander Skarsgård) is a bartender living in the pulsing city of Berlin. Because of a childhood accident, Leo lost the ability to speak and the only good thing in his life is his beautiful girlfriend Naadirah (Seyneb Saleh). When she vanishes without a trace, Leo’s search for her takes him deep into the city’s seedy underbelly. A pair of wise-cracking American surgeons (Paul Rudd and Justin Theroux) are the only recurring clue and Leo is forced to take on this teeming underworld in order to find his love.on Netflix. This is one of my most anticipated movies of 2018. I'm just such a huge fan of Jones and he's been working on this thing for the past 12 years, so the fact that this passion project exists is exciting and I can't wait to see this story that Jones has wanted to share with audiences for so long.